Packaging Dimension (WxLxH) 22x11.5x8 cm. 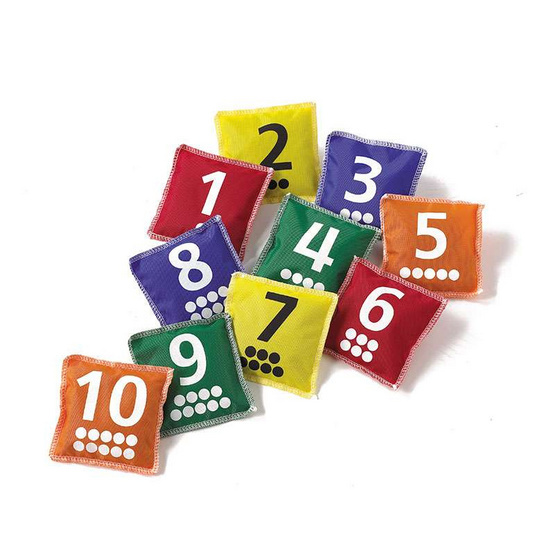 Colorful 10cm bean bags offer many options for learning and play. Great for developing gross motor skills. Number 1-1- in 5 colors and 10pcs in cotton bag.